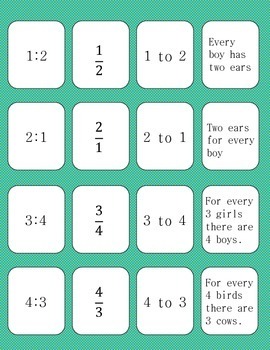 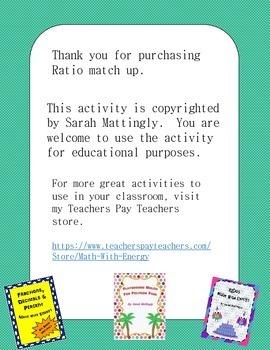 This activity includes 48 small cards for students to match the same ratio that are written in different ways. 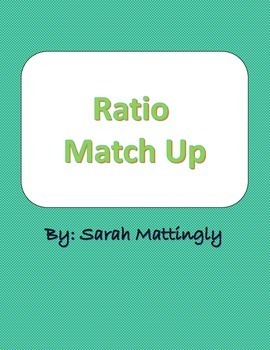 Get your students together to discuss how the same ratio can look differently. 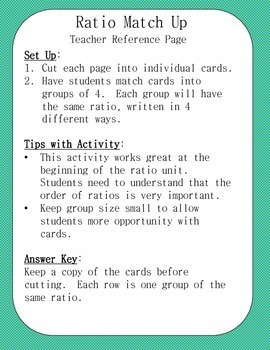 Check out other activities to get your students together to talk and to practice math concepts outside of the traditional worksheet method at the Math with Energy store.